As the country’s economy continues to grow, a new report on Ireland’s property investment market found that almost €8.6bn has been spent on office property here since the start of 2013. Savills’s director of research Dr John McCartney said the market in Ireland has benefited from favourable monetary conditions, with continuing low interest rates across the world driving capital into real estate. In addition, the report says there has been surging demand for business space due to a rapidly expanding and increasingly globalised domestic economy. This has driven rental growth in residential, industrial, and office sectors. “Ireland’s rate of job creation has been exceptional in recent years, and 30pc of all the jobs created last year were Dublin office-based positions,” Dr McCartney said. “This has generated enormous demand for office space in the capital and, although new buildings are emerging, supply has been unable to keep pace. Office assets accounted for the largest share of investment spending on property last year, with €1.8bn spent on offices during the year. But the biggest story of 2018 in the Irish investment market was the strength and depth of demand for private rental sector residential assets. Just over €1.1bn was spent here in 2018 on residential investments, excluding the spend on mixed scheme developments. 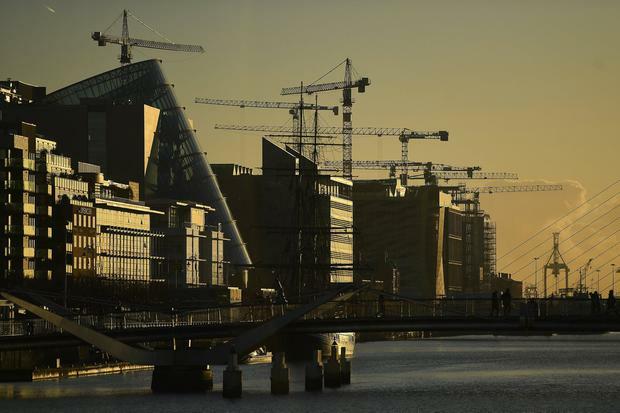 Looking forwards, while the global economy is slowing and Brexit poses a particular risk, the report says Ireland’s deepening integration with the global economy means occupier demand for office space in Dublin will continue to grow. “With a global shift from goods to services, Dublin’s position on the western edge of Europe is no longer a barrier to trade. Increasingly, this and other factors, such as favourable demographics and the widespread use of English, are attracting space-consuming technology companies to the city,” Dr McCartney added.